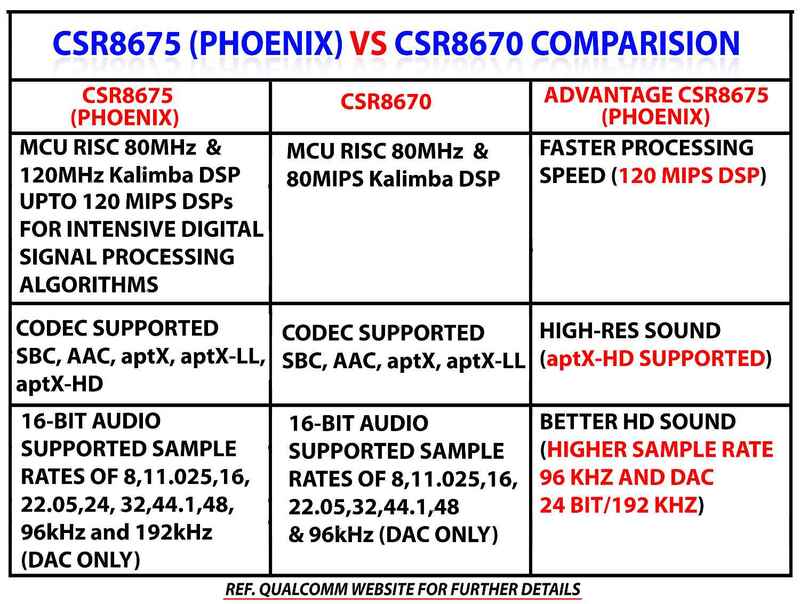 Signature Acoustics PHOENIX Hi-Fi Bluetooth BT5.0 Audio Receiver & Transmitter with aptX-HD, Low Latency, aptX, Qualcomm CSR8675, 3.5mm AUX/Optical/SPDIF/RCA. 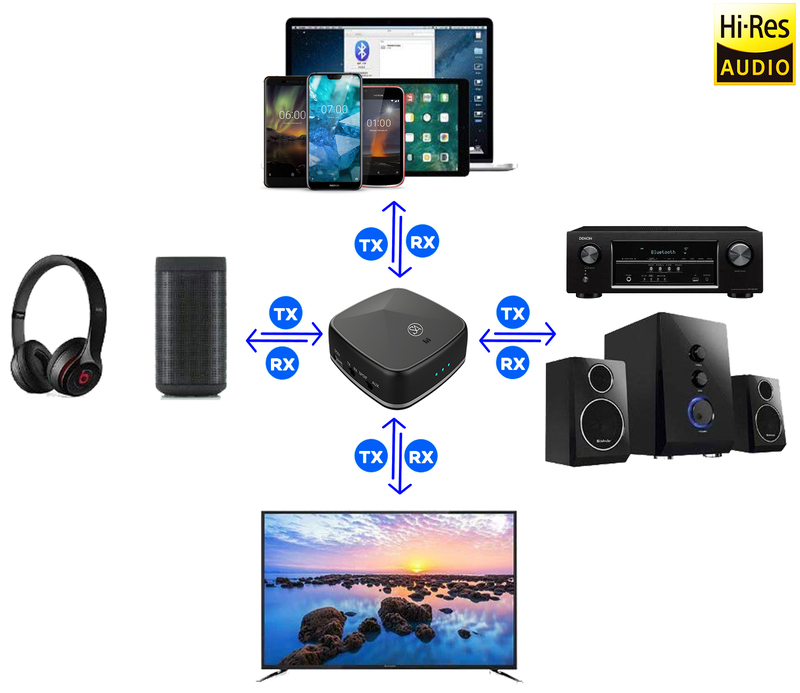 for Home-Theater, TV, Speakers, Mobiles, Headphones. 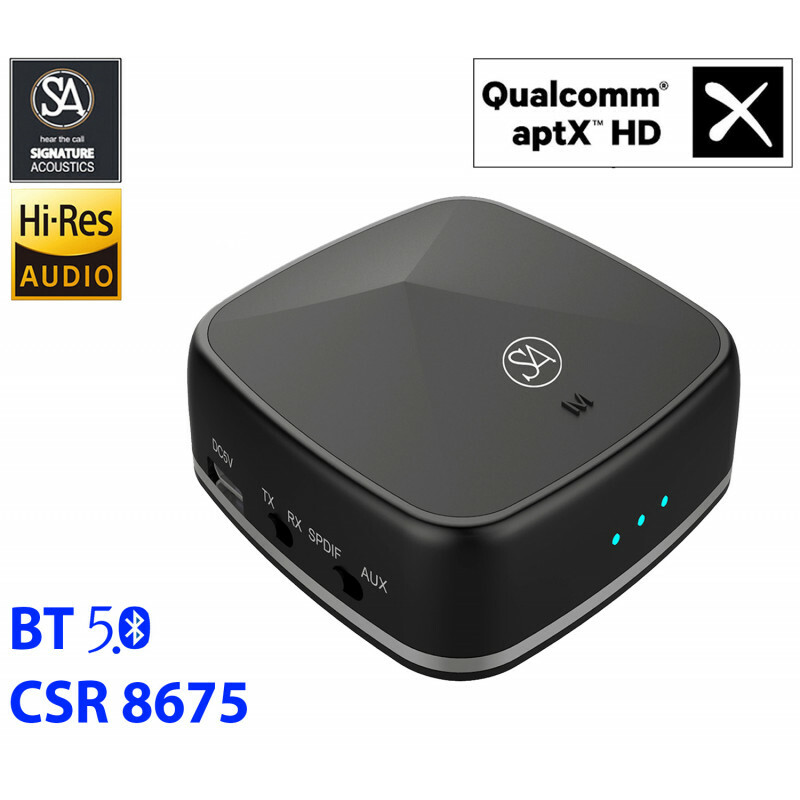 ★BLUETOOTH 5.0: Equipped with the latest version of Bluetooth and powered by the most advanced Qualcomm CSR 8675 chipset. ★3.5 mm AUX, Optical/SPDIF/Toslink and RCA cable compatible. This makes Phoenix usable across a wide range of devices. ★400 mAH rechargeable lithium battery: Working time is 14 to 16 hrs. Standby mode 300 hrs. Charging time only 2 hrs. Impressive range of 50 feet. ★Connects with 2 devices at the same time. Phoenix is a complete Bluetooth kit, a one-box solution. All cables are included within the box. No need to buy cables separately.